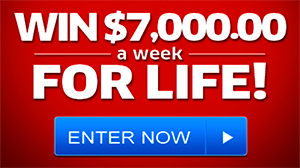 www.WhatsYourAny.com – Pizza Hut What’s Your Any Sweepstakes. Instant cash win game to spend at Pizza Hut and 3 Sweepstakes Grand Prize Winners will each receive $10,000, awarded in the form of a cash check. Sponsored by one of the largest international pizza restaurant chain franchise – Pizza Hut, Inc this new instant cash promotion sweepstakes offer you the chance to win one of ten $10,000 prizes or one of 2,420 instant prizes of $10 to spend at Pizza Hut. Grand Prizes (3): $10,000 cash. Instant Prizes (2,420): A $10 Pizza Hut Coupon Code.